Disco Biscuit is a barbie pink jelly with blue/purple micro-glitter. To avoid any VNL, I first applied 2 coats of Elevation Polish Cerro Torre 2. 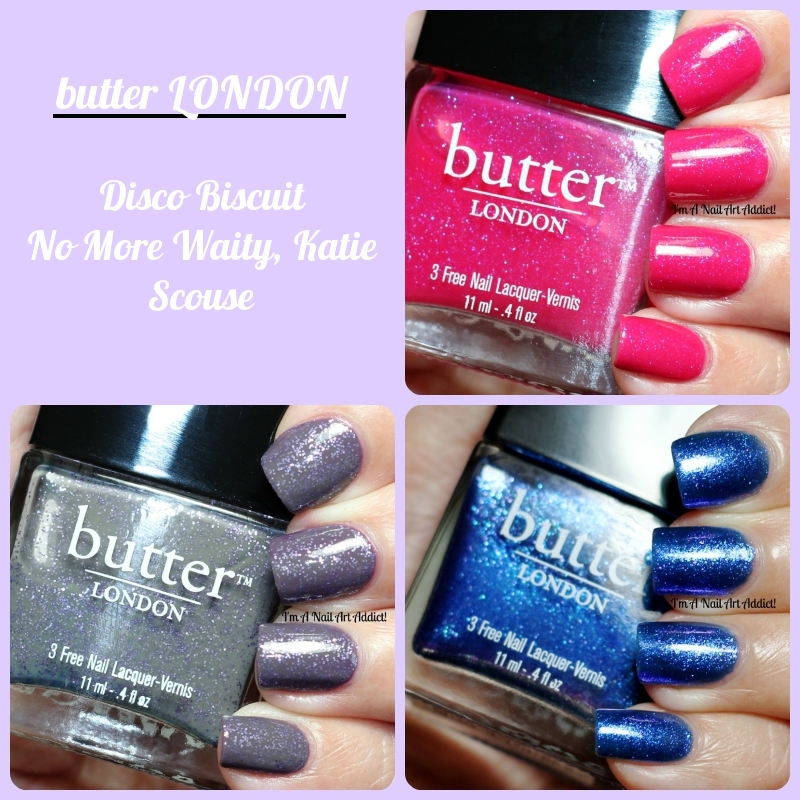 Then, I painted 2 coats of Disco Biscuit and one layer of top coat. No More Waity, Katie is kinda odd... It's a grayish jelly with lavender glitters. I know many hate this polish but I'm not one of them. It's not the most beautiful polish, but when you layer it over another color it's not that bad. Here, I first applied 2 coats of Dutch 'Ya Just Love OPI?, then 2 coats of No More Waity, Katie and one layer of top coat. Scouse is a blue jelly with blue shimmers that shift to purple. I swatched this polish more than a year ago and I don't like my swatches... but I don't have time to take better pictures. Moreover, I added this polish to my blog sale so I won't use it anymore. My favorite is Disco Biscuit. What's yours?